Do you have usage statistics on the digital versions? Did it significantly increase the magazine usage? Sorry, we didn’t have digital magazines, just newspaper access. I don’t have usage statistics from the online newspapers, but I hear they’re being used at least a bit, especially by speech & debate. This is something I have been pondering as well. Year before last I got rid of the back issues we had for our magazines, as no one was using them (except the art teachers, as you said!). Now I am wondering what to do about the print issues we receive, and which not very many students or faculty read. 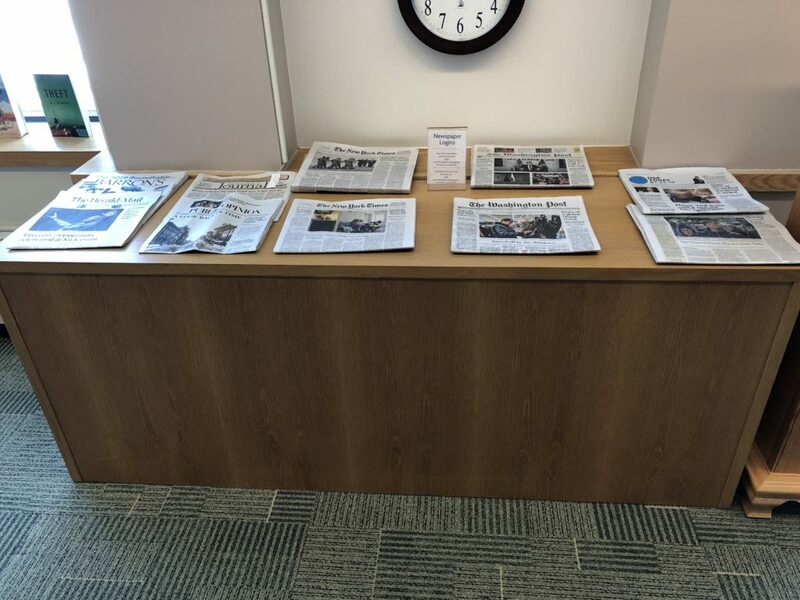 I have moved our magazine display shelves to our lobby-ish area, and have a couple of comfy reading chairs there, and they look nice, but that hasn’t increased use very much. I, too, am wondering about how best to handle subscriptions to the ones I decide to keep. Right now we use WT Cox as our subscription aggregator, but most of our magazines could be gotten much more cheaply either through a direct subscription or through someplace like Amazon (ugh) or the magazine store. Has anyone shifted away from subscription aggregators to individual subscriptions, and has that played a part in any decisions to keep magazines around? We are going to use Amazon for most of our subscriptions (ick) and will go directly to the company for those that are not available through Amazon. The method in which we are able to subscribe hasn’t affected our decision making at all – at least not for the first and second round of cuts! We use Amazon for our print magazines, but the only ones that warrant any interest are car and truck! We no longer get the local newspaper and have cut way back on our print magazines. We’ve moved them to a shelf right next to the circulation desk and they have gotten more notice there, though still not tons. Our news magazines like Time get used when a few of our classes do projects on global issues. We moved most of our subscriptions to Amazon this year. I get Ebsco emails about Flipster all the time and wonder if that would be worthwhile for our popular reading magazines. You’d have to do a lot of PR to make sure students knew it was available. 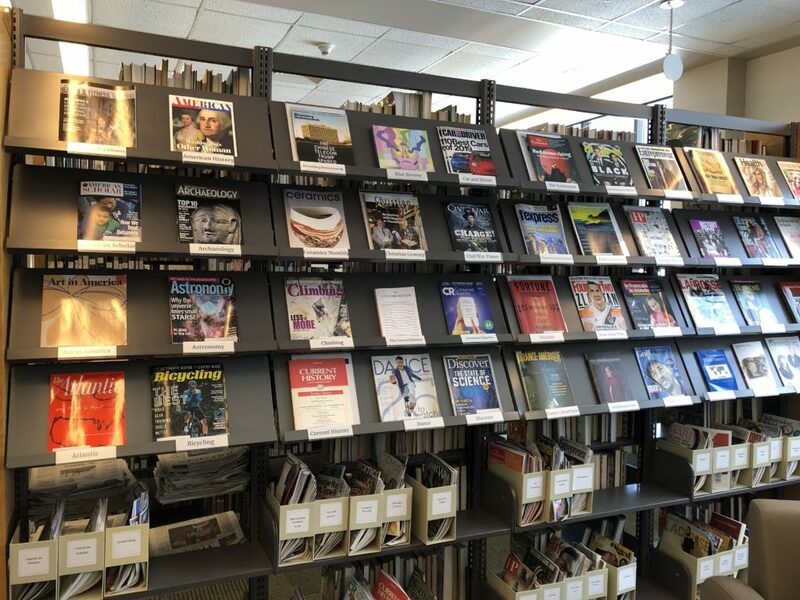 Do you check out the magazines or are people just using them in the library? In the Lower School the kids starting in 2nd Grade love our magazines and read them til they are tattered, at which time they are offered to classroom teachers for class projects for writing and research. We have cut back on the magazines we used to get that were more “scholarly.” (Faces, Muse) if you can use that term in a Lower School library. We originally subscribed for teachers to use, but they are not checking them out, and kids want more flash, less text. I have given up the local paper in print and only read it digitally. I noticed that School Library Journal seems to be on the way out, publishing quarterly and no longer supporting a digital edition. We are definitely between two worlds right now. We live in interesting times! I’ve noticed that with SLJ as well. It also seems to have less in it of value lately which is sad. We’ve cut back to just a few magazines. Surfer’s Journal, a gorgeous magazine with great articles even for people like me who don’t surf, has an audience with my surf crowd. Wired and Fast Company have a niche audience among our IB ITGS (Information Technology in a Global Society) course kids. Interestingly, the Economist is the only magazine that has students come to the desk and ask, “Has the new Economist come in yet?” I think this is because it gets talked about by one of our social studies teachers and his history/social studies fans look for it and read it even though it isn’t an assigned task. When we were deciding on how to cut our subscriptions significantly I started putting a little piece of tape across the pages of the magazines. When we checked back, if the tape had been broken we knew it had been browsed/read. If the tape was still intact, it hadn’t been touched. Anything that wasn’t touched for a few weeks got cancelled. That tape trick is brilliant! I think I will try it here and see what kind of results we get. Is anyone using and liking Flipster? It’s expensive but I’m curious…. We no longer get print magazines (a low usage decision made by my predecessor, which seemed on target) but we get three print newspapers: our local paper (my personal copy that I bring to school), the New York Time and the Wall Street Journal. Anyone can browse/them here, and at the end of each day, they go in a stack and anyone can take them home. When the stacks get too high, I email the art department or recycle them. I am pleased to say there is daily perusal, often while waiting for a friend. One teacher comes through specifically to glance over the headlines. Two regulars come by to pick up past papers. Not a lot of use, but worth the subscription cost, at least for now. I prefer a print option, because I like to read the paper with breakfast, and I don’t like to be on my device that early. I bring my daily paper to school most days, and the school pays for the other two subscriptions. Thanks for a interesting discussion! We still subscribe to about 90 print magazines and the local newspaper, which is in fast decline, as well as the Wall Street Journal, USA Today, and the Sunday New York Times. One teacher comes in daily to read the WSJ, but the others are not heavily used. We also have sixteen titles in Flipster, which is popular among a few teachers and gets some student use, although it’s hard to promote. We are a school for boys, who tend to be visually oriented, and I still feel that displaying print publications encourages reading. Out of sight, out of mind; it’s much less likely, even for me as an avid reader, to seek out pleasure reading materials online–I look at a screen too much as it is. For research, digital is great.